This city's seafaring roots run deep. Displays at the Maritime Museum include models of vessels and a Titanic exhibit. Excursions visit the Citadel National Historic Park, the Nova Scotia Museum, St. Paul's Anglican Church and the Historic Properties. 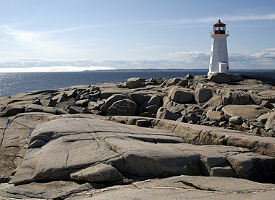 Many tourists make the short trip to the Bay of Fundy or Peggy's Cove.